Português: Amber Absolute é um dos integrantes da coleção Private Blend capaz de ofecerer um perfume consistente porém medianamente interessante. 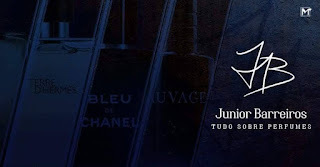 Como o nome indica, essa é uma criação carregada em uma das matérias primas mais populares da perfumaria, o ambar. Amber Absolute utiliza o lado tradicional dessa matéria, criando um intenso aroma oriental que é, ao mesmo tempo, amadeirado, levemente animálico sem ser sujo, seco e doce ao mesmo tempo. O ponto fraco é que Amber Absolute não vai além disso, sendo linear e pesado do começo ao fim. Apenas em dias muito frios é possível perceber melhor uma nuance de mel mais adocicada e a cremosidade da baunilha. Nos outros dias, predomina o amadeirado pesado e seco do ambar, envolto em uma aura incensada e resinosa que muda pouco no decorrer do tempo.Isso o torna consistente com o nome, mas não garante a dinâmica e personalidade que poderia torná-lo melhor e mais interessante. 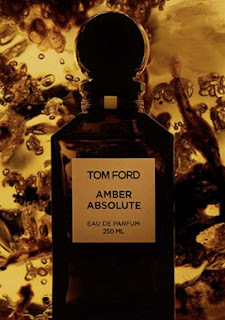 English: Amber Absolute is one of members of Private Blend collection which is able to deliver a consistent but only mildly interersting fragrance. As the name indicates, this is a creation concentrated in of the most popular raw materials at perfumery, ambar. Amber Absolute uses the traditional side of it, creating an intense oriental aroma which is at the same time woody, slightly animalic without being dirty, dry and sweet at the same time. The weakest point of it is that Amber Absolute doesn't go beyond that, being linear and flat from the beginning until the end. Only at very cold days you are able to noticed better a honey nuance more sweet and a creamy vanilla. At the other days, what predominates is the heavy dry woodiness of ambar, surrounded by a incensed and resinous aura that shifts little as the times goes by. 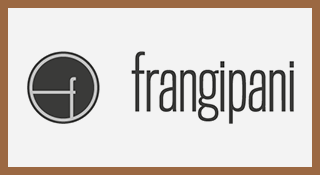 This makes it consistent with the name but doesn't ensure the dynamic and personality that would have made it better and more interesting.